WAYNE, Pa., January 29, 2019	(Newswire.com) - The CFO Alliance, a leading network of more than 7,000 CFOs and qualified finance executives representing middle market and emerging enterprises from all industries, geographies, sizes, and structures, released its 9th annual CFO Sentiment Study to provide insights into the strategic planning and financial outlook of CFOs for 2019. 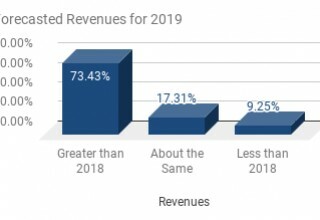 This Study is unique in that it is designed to offer insights into how today’s CFOs plan to best position their enterprises to address challenges and capitalize on opportunities in 2019. Over 580 senior financial executives from across North America participated in this year’s Study, offering in-depth perspectives on how CFOs plan to deliver on changing expectations for their enterprises in the face of decreasing confidence in the global economy, increasing talent shortages and disruptions to industry and business model norms in 2019. Following are some of the primary findings from the Study. While last year, more than 75% of survey respondents characterized their confidence in the global economy as strong or extremely strong, over two-thirds of this year’s respondents did a complete reversal on this topic and characterized their confidence in the global economy as weak or extremely weak. 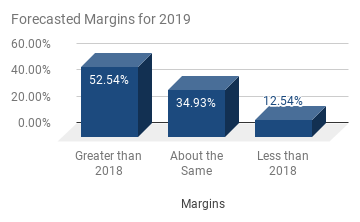 In addition, this Year’s results also showed a marked decrease in commitment to increasing enterprise margins and earnings with only about 50% committing to increased margins and about 60% increased earnings, a fifteen (15) percentage point drop from last year. 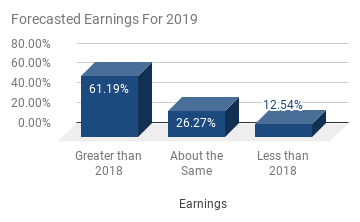 At the same time, CFO respondents remain "bullish" on the overall performance of their respective industries with almost 75% believing that their industry remains extremely strong or strong, and equally confident in their enterprise’s ability to access capital and/or credit, if needed. CFOS ARE EXECUTING THE STRATEGY & MEASURING SUCCESS. CFOS ARE CONNECTING WITH TODAY’S WORKFORCE. CFOS ARE LEADING THE CHARGE TOWARDS DIGITIZATION & AUTOMATION ACROSS OPERATIONS. CFOS ARE BRINGING FP&A COMPETENCIES TO SALES & MARKETING. GROWTH THROUGH STRATEGIC PARTNERSHIPS, JOINT VENTURES & ALLIANCES BRINGS NEW ENTERPRISE RISKS TO LIGHT. AIMING FOR IMPACT: CFOS ARE FINANCING INNOVATION & MEASURING THE RESULTS. INCREASING DEMAND FOR ANALYTICAL SKILLS MAKES THE CASE FOR INVESTMENTS IN LEARNING & DEVELOPMENT. 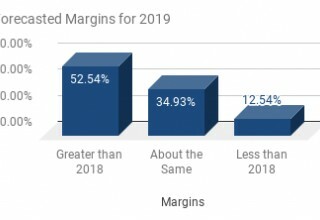 To see additional results from The CFO Alliance 2019 Sentiment Study, download the Report at The CFO Alliance 2019 Sentiment Study. Each year, The CFO Alliance tracks the thinking and actions of CFOs representing many of North America’s leading and most influential enterprises. This Report summarizes CFOs’ opinions in four areas: business and economic environment; enterprise priorities and expectations; finance priorities; and CFOs’ personal priorities. 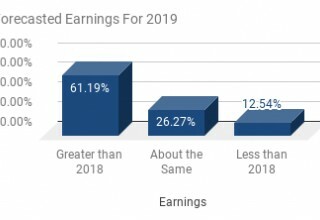 The CFO Alliance Annual Sentiment Survey was conducted from November 23, 2018, through January 4, 2019. A total of 580 CFOs responded. The data collected represents a large cross-section of respondents representing over 580 enterprises. Those surveyed are from all geographical areas of the United States and Canada with the largest concentration, (nearly 1/3) from the northeast region of the United States. Twenty percent (20%) of the participants in the 2019 Study hold finance leadership positions at enterprises with annual revenues of greater than $250 million. Most of the participants’ enterprises employ between 50 and 5000 full-time employees. For more information, please see the Report. 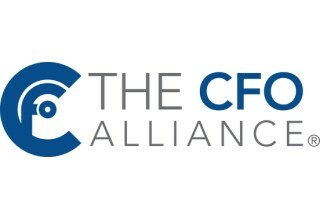 The CFO Alliance is the leading network of more than 7,000 CFOs and qualified finance executives representing middle market and emerging enterprises from all industries, geographies, sizes, and structures. Membership to The CFO Alliance is for forward-thinking, innovative finance executives who are committed to a path of constant learning, self-improvement, and knowledge, experience and insight sharing.